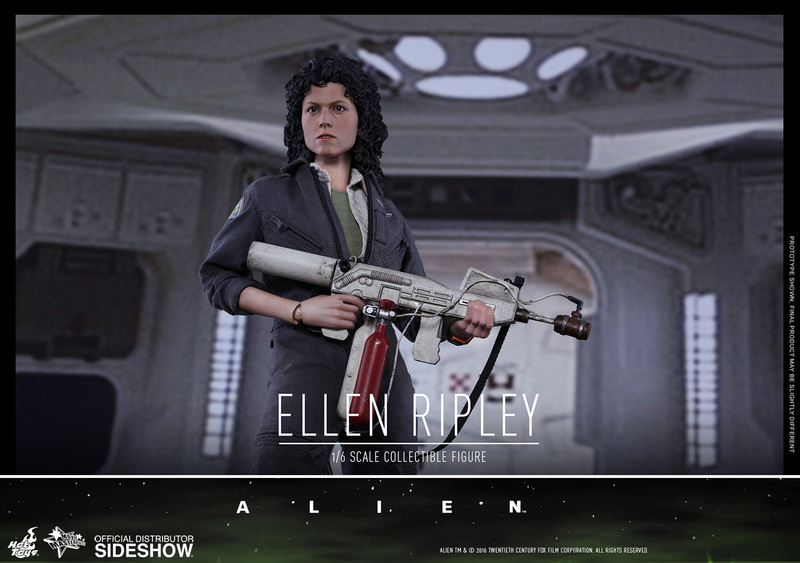 2016 is a special year for Alien fans: it marks the 30th anniversary of Aliens, and April 26th has officially become Alien Day! 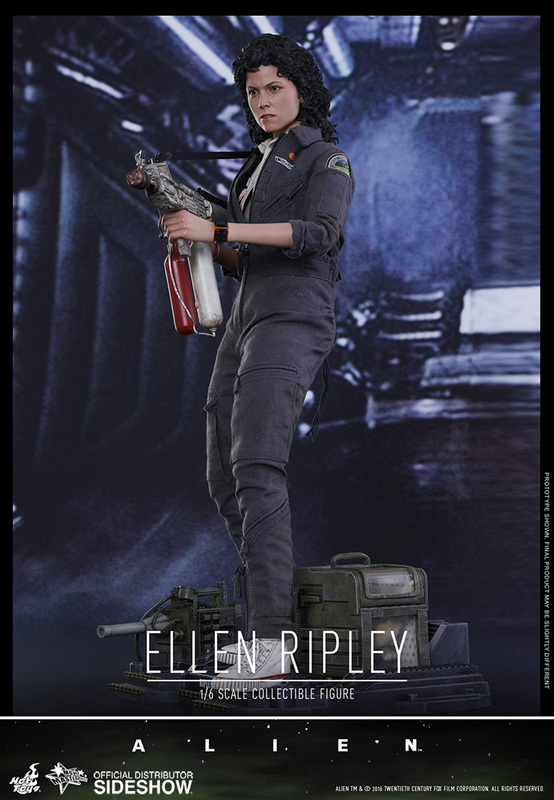 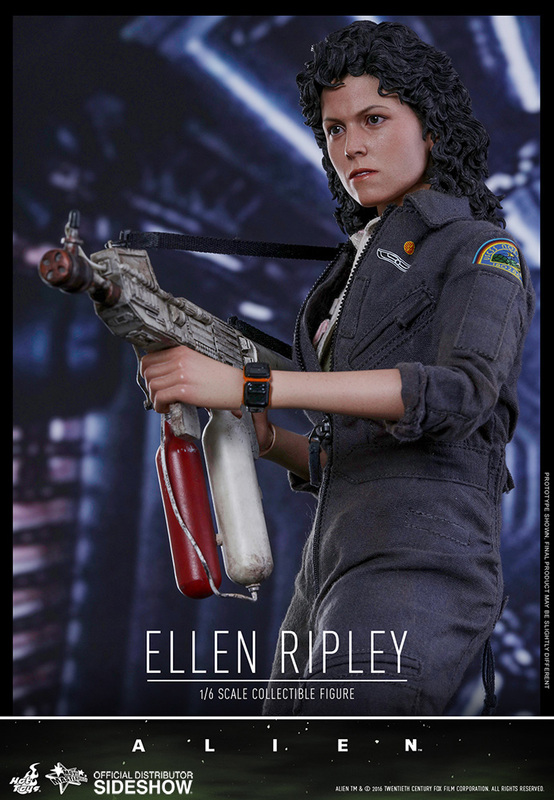 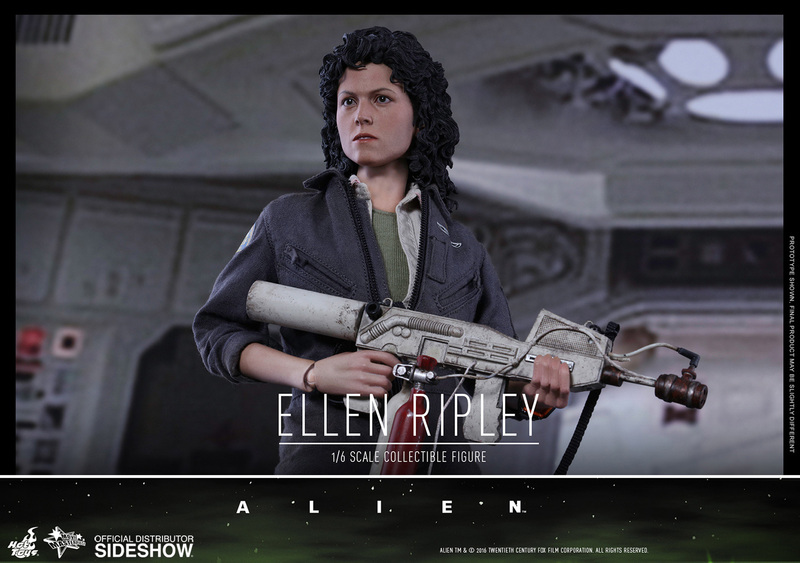 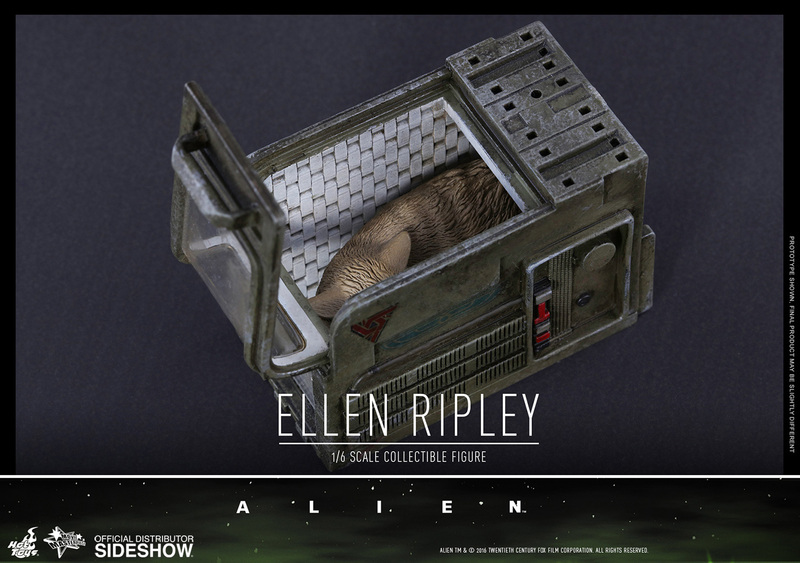 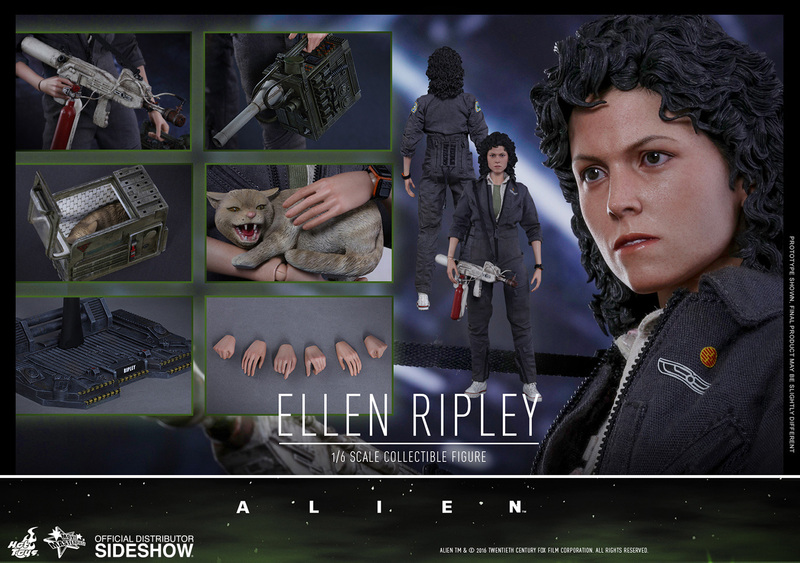 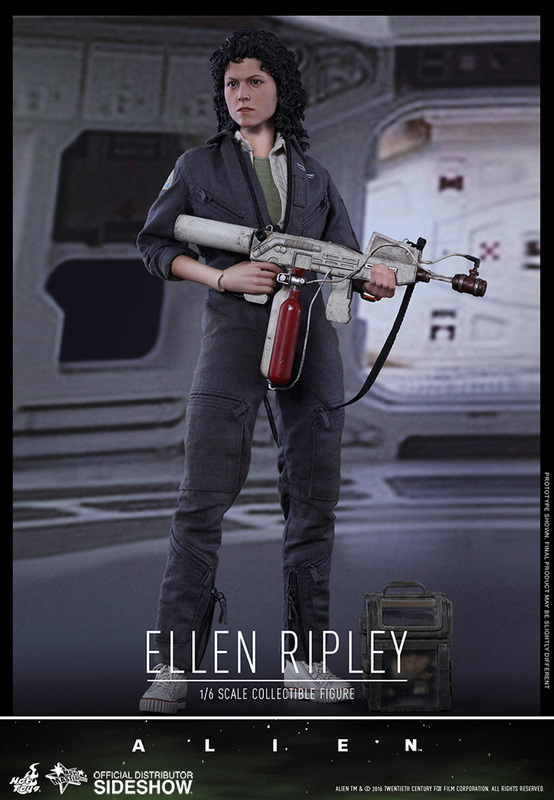 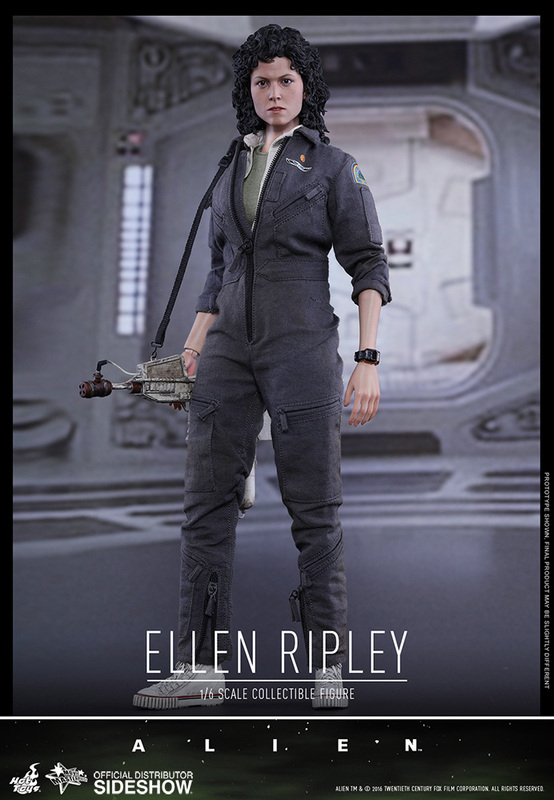 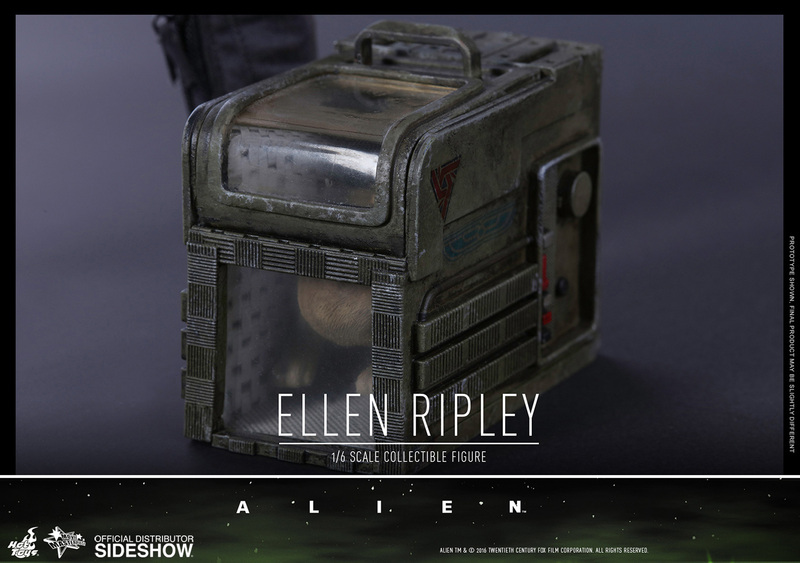 Many fans around the world have been longing for Hot Toys’ highly detailed sixth scale collectible figures based on this sci-fi saga, and today Sideshow and Hot Toys are pleased to officially introduce the new sixth scale collectible figure of the iconic heroine – Ellen Ripley from Alien. 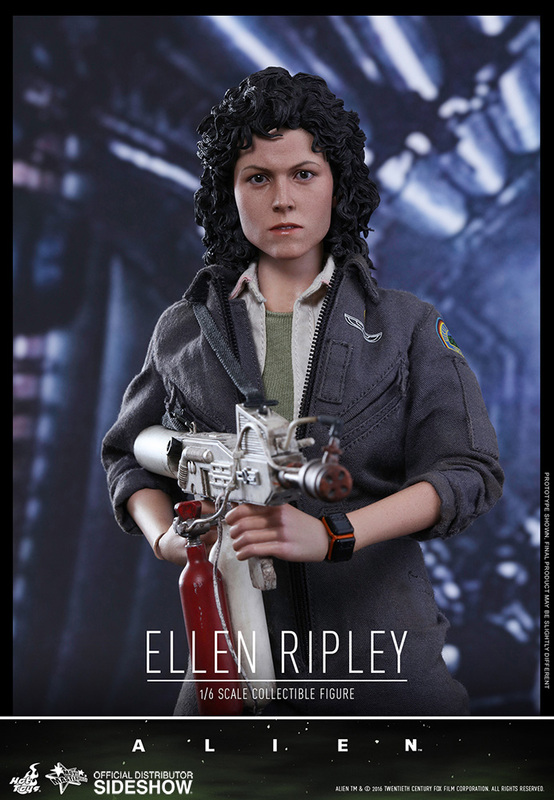 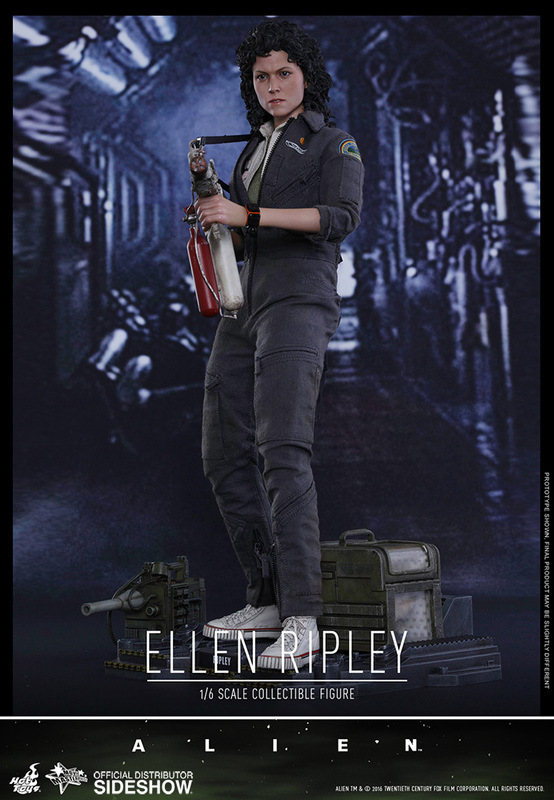 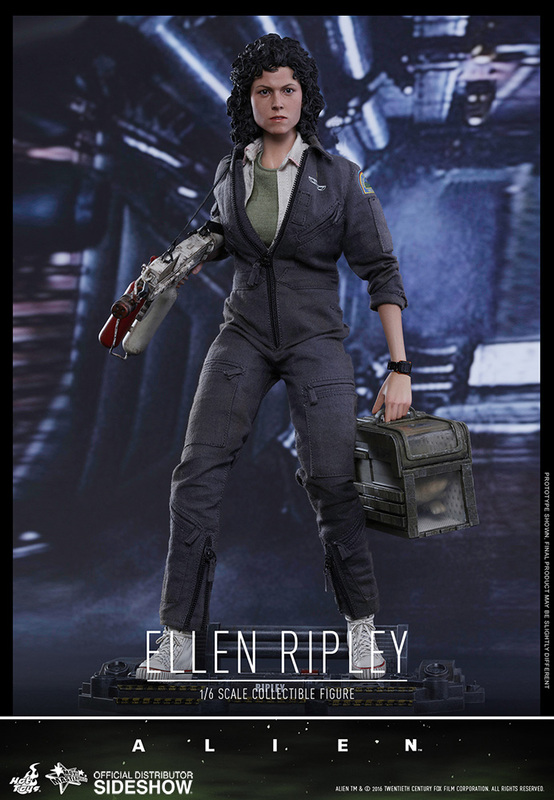 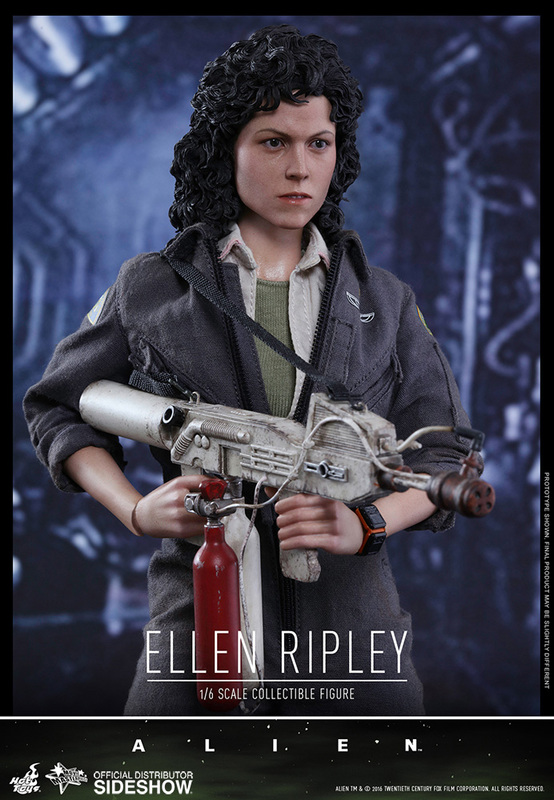 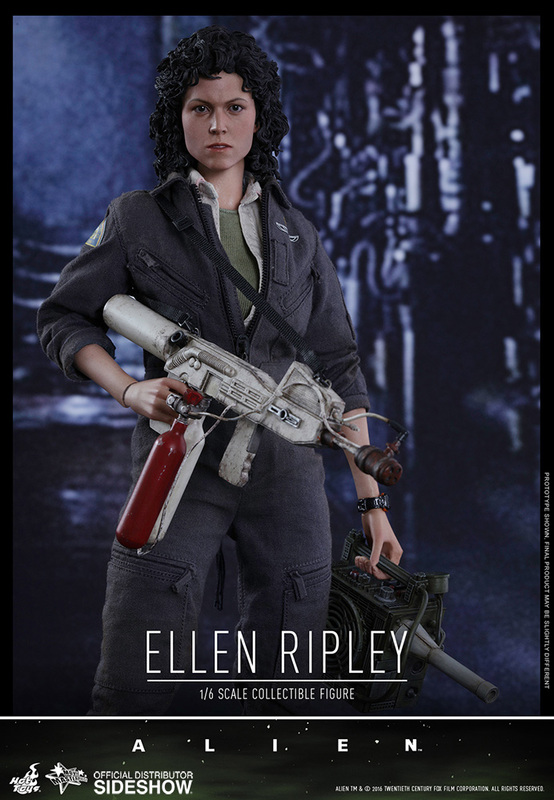 The highly-accurate collectible figure is specially crafted based on the image of Sigourney Weaver as Ellen Ripley in the film. 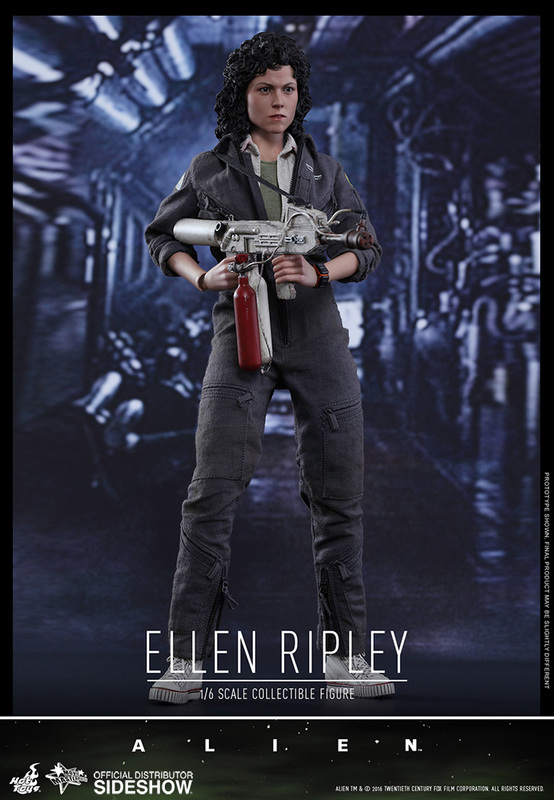 It is the first official sixth scale collectible figure featuring the likeness of Sigourney Weaver. 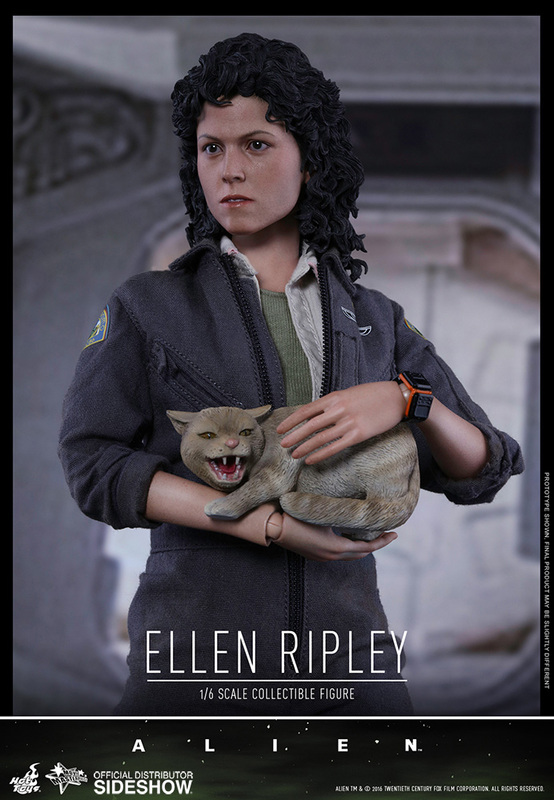 Furthermore, the figure includes a specially tailored costume, a custom flamethrower, a tracking device, Jones the cat and its carrier box, and a diorama figure stand. 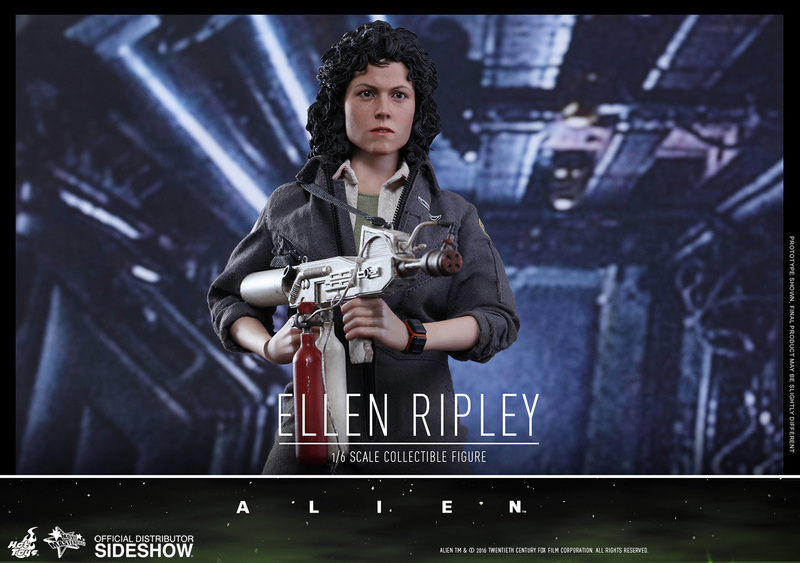 Alien fanatics, now is the chance to add this iconic character to your great collection!